Month: June 2017 - ThirtySevenWest ThirtySevenWest - Creative ideas about personalized custom ribbons, woven tags and labels, personalized gifts and more!!! Trade shows present a great opportunity for businesses to come face to face with their target customers. Putting up a company booth on a local trade show allows you to directly communicate with existing and potential customers, learn about their expectations from the business, and obtain their valuable feedback on the products. Trade shows are also great if you wish to create brand awareness. The presence of your business representatives at a local affair makes people know about your business, what it does, how it works, and the values it possesses. Believe it or not, all this is monumental for securing loyal clientele. So, basically what you’re looking at is a subtle form of business promotion – something that makes people remember the name of your business. And this post will tell you how to achieve that with custom ribbons! Let’s begin. The backdrop for your booth should be fun and attractive. It should appeal to anyone who passes by the vendor exhibit, luring them to stop and see what you have to offer. Printed custom ribbons are a great way to add a pop of color to the otherwise dull backdrops and there are so many ways to do that! You can vertically attach ribbons to the backdrop. 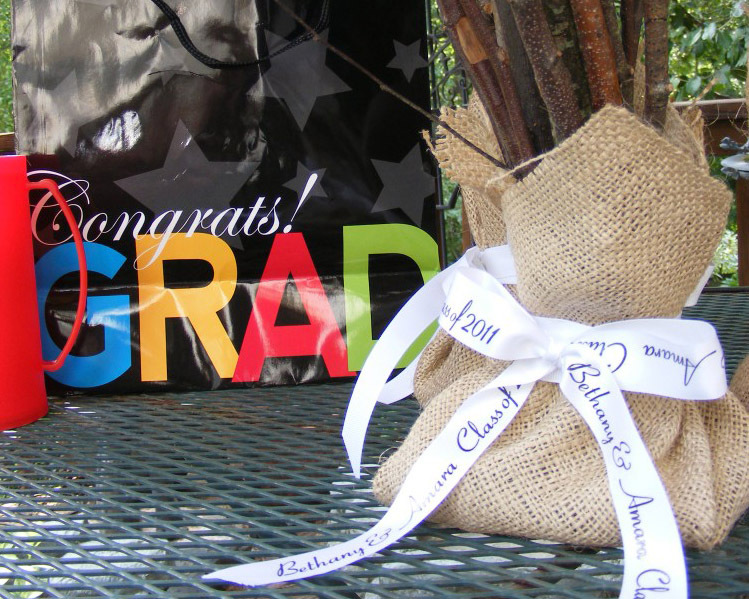 Pair custom logo ribbons with balloons and other décor to add a unique flair to your backdrops. You can even use these creative backdrops as a photo booth to attract visitors. 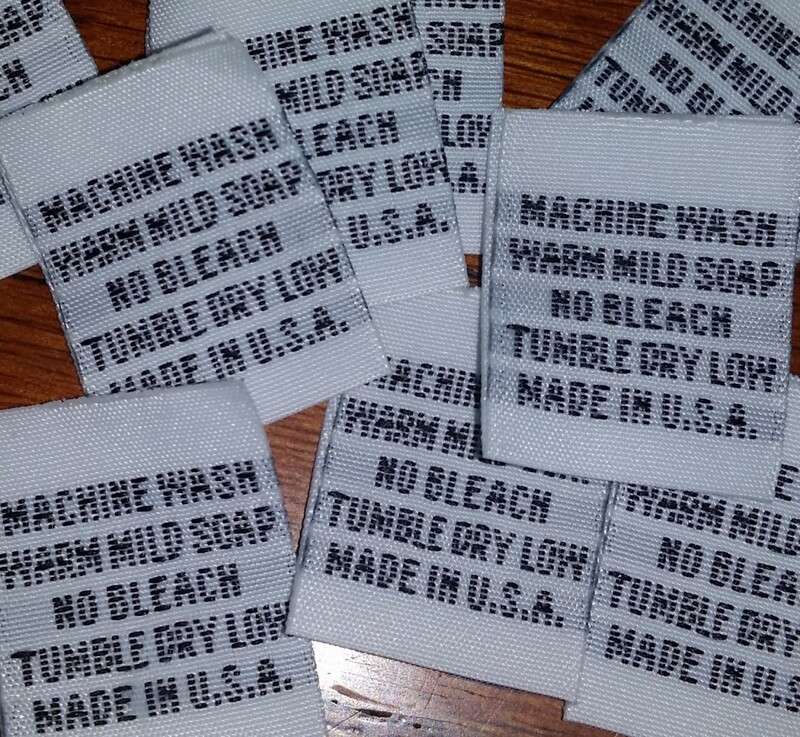 Obviously, you’ll have each of your representatives wearing a name tag. Why not make them more interesting? 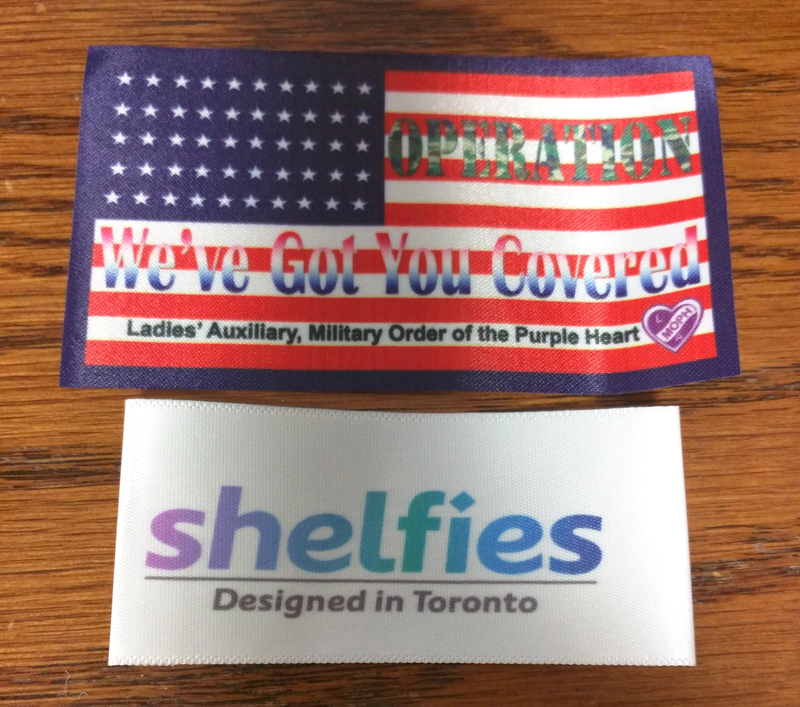 Attaching customized ribbons to the name tags of your representatives at the trade show will definitely spice up the look of the traditional name tags – making them more catchy and attractive. 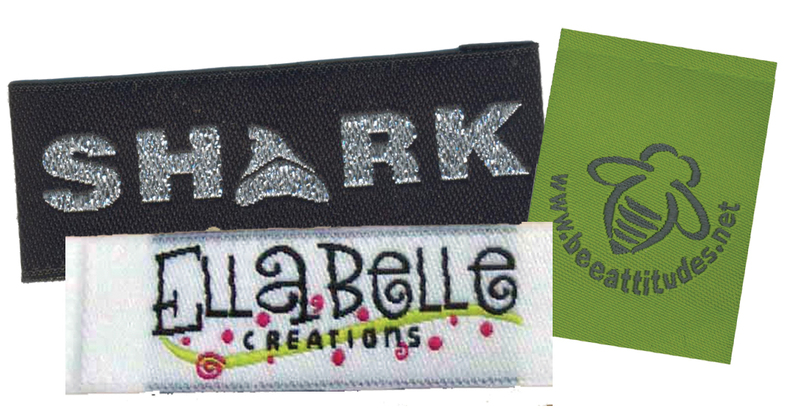 It doesn’t necessarily have to be personalized logo ribbons, you can even choose plain text to be printed on or simple multi-colored ribbons for this purpose. The idea is to grab people’s attention! A lot of businesses keep lucky draws and contests to bring the crowds to their booths. Others give free giveaways to the visitors who sign up for their newsletters or shop items worth a certain dollar amount. 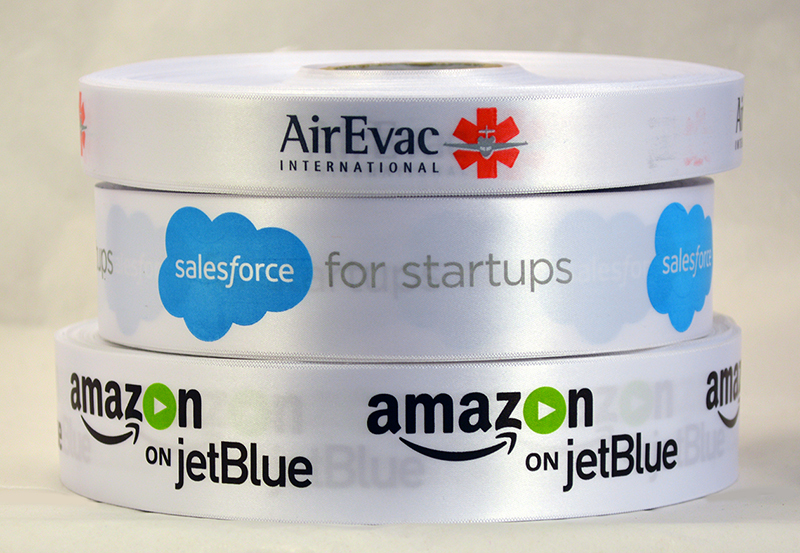 If you’re doing that too, get some printed custom ribbons to set your subtle marketing plan into motion. 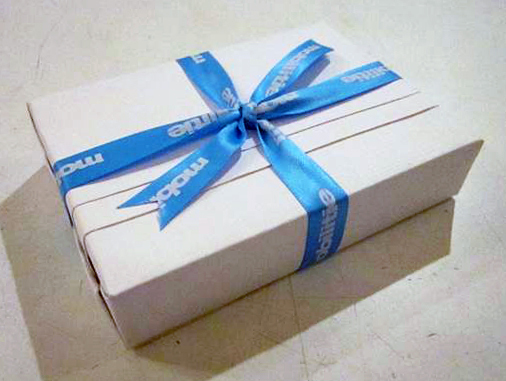 Use these ribbons to add a thoughtful touch to the gifts and giveaways. They will look great, they will make the visitors feel great, and they will make them remember your business too! While you’re at it, don’t forget the tables. Yes, the tops may be too crowded to think of ways to give the tables a visual uplift but you can always improvise with ribbons. 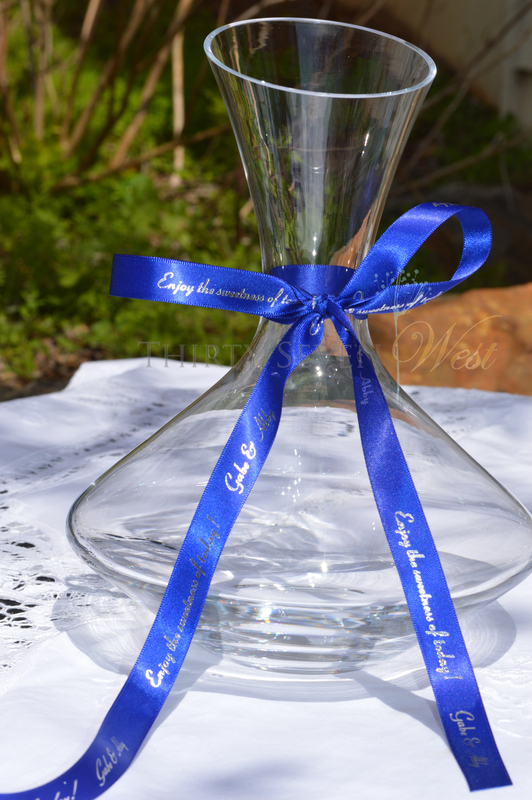 Simply stick the customized ribbons alongside the table’s visible edges and let them work their magic. 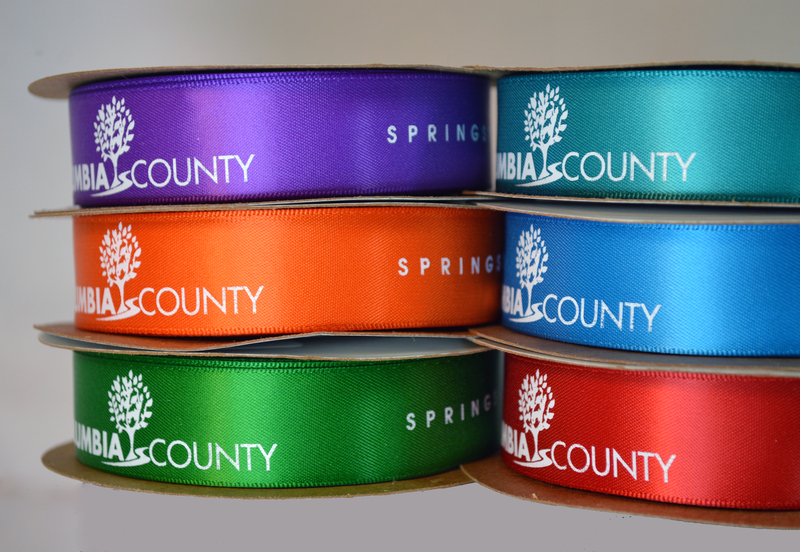 In addition to making your tables look more appealing to the visitors, these ribbons will feed their sub-conscience with your brand presence. They will create recognition without the need for you to spend a fortune on it. 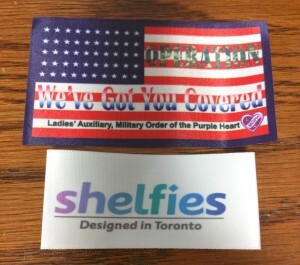 How do you suggest businesses can make use of custom printed ribbons? Let us know about it! Everyone would agree to the fact that ribbons are a fantastic way to add a decorative flair to almost anything – be it a gift, a bouquet, or a Christmas wreath. While you’re at it, your choice of ribbons matter – you could use a custom printed ribbon or a simple satin one – but it is equally important to get the ribbon colors right to establish an overall coherence in the color palette for the item you’re decorating (green, red, silver/gold for the Christmas wreath for example). So how could do you decide on a color(s) for your decorative ribbons? This is ideal when you’re using ribbons for decorative purposes on events and celebrations. You see, you can never go wrong with red and white on Valentine’s Day; neither would using variations of red and gold for Christmas decorations. However, this isn’t just limited to events and celebrations. 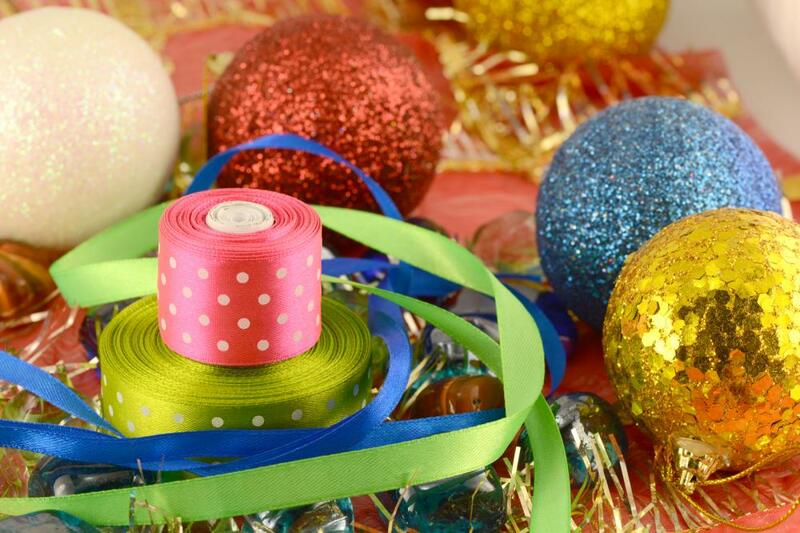 You could always pick a theme and get decorating using ribbon colors that fit it to perfection. For example, ice blue, white, and glittery silver custom ribbons would work well for a winter theme. Different hues of pink can be used to denote femininity and/or affection. A patriotic theme is all about the red, white, and blue. You get the hint, don’t you? Since ribbons are a quick and easy way to add personality and charm to almost anything at all, they are widely used in the corporate world to decorate promotional giveaways and corporate gifts, or for event décor. Every business has a brand logo that already sets the foundation of a color palette – these colors define your business. For example, the McDonald’s red and yellow, the FedEx’s purple and orange, or the Pillsbury’s blue and white – everybody knows these brands and they have come to associate their respective colors with them. You can do that too. 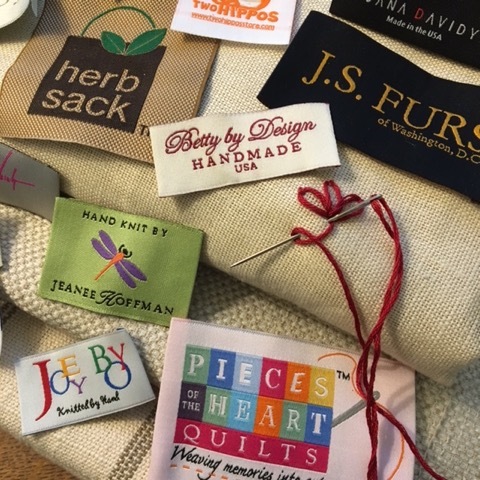 Use your business logo as the color palette for picking ribbon colors. 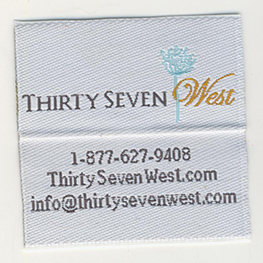 You can even get your custom logo ribbons printed by us at Thirty Seven West. 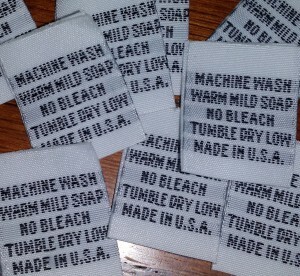 We offer an extensive range of ribbon colors and sizes to provide you with exactly what you want! Go for contrast: a yellow ribbon to add some fun to the gift wrap or a blue one for a hint of sophistication. White, orange, and certain shades of purple work great too! Make it monochromatic: stick to pink ribbons but in shades lighter or darker than that of the gift wrap. Probably the easiest way about this whole process is to pick ribbon colors in classic color combos that never go wrong. 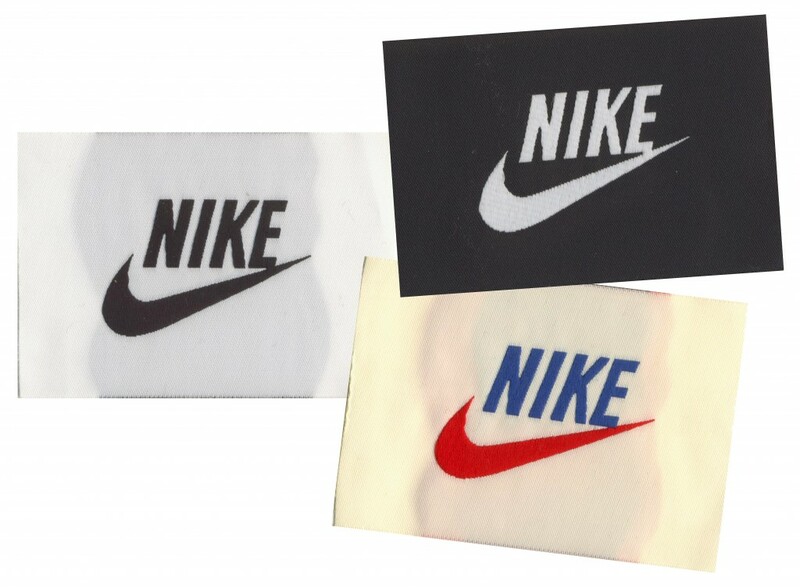 Think black and white, blue and yellow/black/gold, red and white/black/gold, or green and orange. There is no way you can go wrong with these colors for your decorative ribbons. Look around you – you’ll get plenty of options. Whichever way you choose to go, custom decorative ribbons are all about adding a quaint appeal to gifts, decorations, and more. Just have fun with the colors – you’ll get them right!